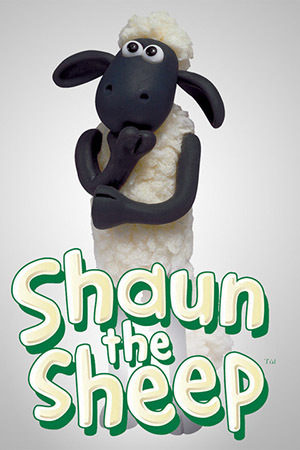 Shaun the Sheep made his first appearance in the Walla ce & Gromit short A Close Shave, but in the years since the young buck has become the star of a very popular children’s “claymation” series. By now, tykes may be more familiar with the animal than the characters who introduced him. The 10 minute segment format of the television show might make one wonder whether the sheep can carry a feature. While it is certainly aimed at a younger audience, Shaun the Sheep Movie should entrance all members of the family - it makes for a pretty darn warm and woolly big screen debut. The story is simple enough. 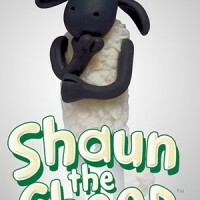 Bored by the repetition of daily life on the farm, Shaun attempts to take a day off. To do so, he enacts an elaborate plan to temporarily put his Farmer to sleep. However, things hit a snag when his master is accidentally knocked unconscious and laid up in a big city hospital. Concerned for the Farmer’s well being, Shaun and his friends attempt to find the Farmer, but in the process become targets of a ruthless animal control official. Much like the show, the story features absolutely no dialogue to speak of (besides some unintelligible muttering from human cast members). Continuing to take its cue from old-fashioned silent comedies, the animators mine gentle, absurdist humor from just about every variety of visual jab imaginable. In fact, it’s a wonder that the movie is rated PG (for “Rude Humor”) - it’s so innocent and sweet one wonders how a burp joke and a manure gag could possibly have resulted in such a rating. Whatever the reason, much of what occurs onscreen is funny. There’s an entertainingly silly subplot in which the Farmer finds a bizarre new line of work and becomes a well-known figure in the process. In fact, whether it involves a shady duck being bribed with slices of bread to commit an underhanded act, a group of wild partying pigs taking advantage of an empty farmhouse, or awkward behavior as the animals attempt to pass as humans in the city amidst funny background signage, there’s always something amusing to look at. However, the highlight goes to a crazy dog locked up in an animal shelter (or more to the point, prison). The mutt’s intense and bizarre expression is repeated with reactions of increasingly concerned animals, and through the repetition somehow manages to become funnier and funnier. And there’s a great payoff for the running gag during the end credits. It is also a beautifully animated flick. On the big screen, the city streets and shops look striking and one can really see all of the impressive detail in the physical sets and environments. It may all be built in miniature, but it never stops looking grand and impressive. The pacing itself is fairly zippy as the characters quickly move from one misadventure to the next - it keeps moving without any notable slow spots. And between the laughs, the story even manages to work in a subtle message about animal adoption and the plight of the homeless. Like the series it is based upon, this isn’t a hysterical film, but it is an adorably quirky tale that easily garners smiles throughout its entire running time. 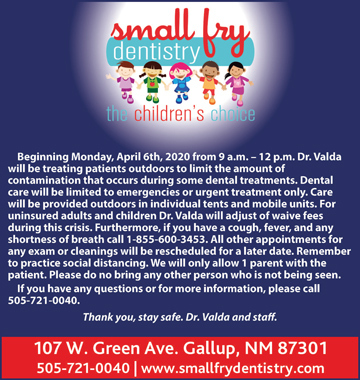 Little kids will likely enjoy Shaun the Sheep Movie, and parents may find themselves having a chuckle or two along the way.